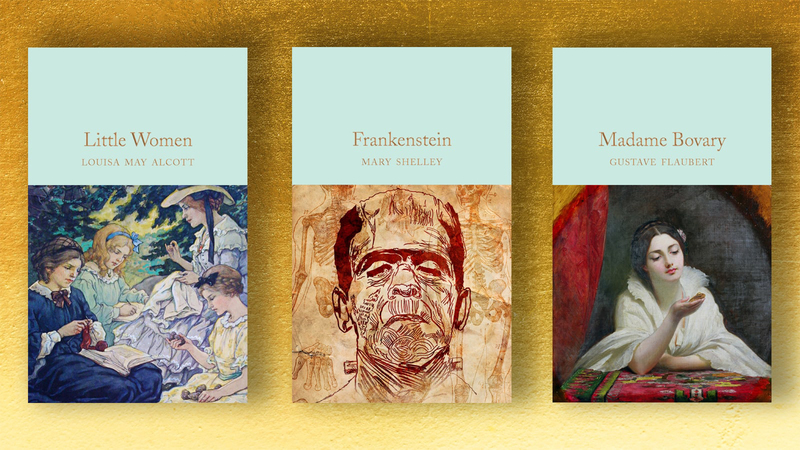 From the gothic horror of Frankenstein to the social satire of Pride and Prejudice, here is our edit of the classic books to read before you die. Pan Macmillan’s own Harriet Sanders, Publisher of Macmillan Collectors’ Library, believes that a classic ‘has to have endured and stood the test of time . . . they will deal with themes that are still relevant today - universal themes.’ From gothic horror to romance, literary fiction to science that changed the world, here’s our edit of the classic novels to read before you die. For more on what makes a classic, don’t miss the Book Break episode below. Often copied but never bettered, Mary Shelley’s Frankenstein is the influential and shocking story of a monster created by a mad scientist. Born out of a competition between Mary Shelley and the poets Shelley and Byron over who could write the best horror story, Frankenstein is more relevant than ever in today’s world of boundary-pushing genetic experiments. H. G. Wells was among the first to express a plausible scientific method of time travel in The Time Machine, and the first to coin the phrase time machine. The film has been adapted into three different films, and still influences science fiction writers today. Thousands of teenagers around the world have fallen in love with Marmee and her four daughters: Meg, Jo, Beth and Amy. This semi-autobiographical novel charts the highs and lows of the four sisters as they navigate their way from childhood to adulthood. Darwin’s record of his theory of evolution which revolutionised our understanding of humanity's place in the natural world. On the Origin of Species is considered the foundation of evolutionary biology and is still hugely influential to this day. A tour de force of wit and sparkling dialogue whose characters and themes still resonate today. Ostensibly a romance full of gowns and balls, this social satire of marriage and relationships in 19th century England is much more cutting and incisive than it first appears. Heathcliff and Cathy are one of the most romantic and passionate couples in literature and Wuthering Heights is unsurpassed in depiction of destructive love. This haunting gothic romance is one of the great novels of the twentieth century, and has influenced numerous songs and film adaptations. Alice, The White Rabbit, The Cheshire Cat and The Queen of Hearts have kept readers spellbound for more than 150 years. This much loved book has never been out of print since it was first published, and has been adapted into dozens of films and TV series, plays and ballets, as well as influencing countless fantasy writers. The book that best captures the flamboyance, the carelessness and the cruelty of the wealthy during America’s Jazz age. Evoking the glitz, glamour and the dark side of 1920s, The Great Gatsby is a cynical look at the limits of the American Dream which still resonates today. This 1856 novel about being trapped in a loveless marriage is still so poignant today, and remains one of the best, and saddest, portraits of a woman ever written. Flaubert’s debut novel is a pioneering work of literary realism which faced obscenity charges when it was originally published but is now considered a masterpiece. Another unforgettable literary female character is Becky Sharpe – a woman willing to use everything in her arsenal to secure a rich husband and live like a queen. This dazzlingly entertaining satire of early nineteenth century high society is as popular now as it was upon publication. For more from Macmillan Collector’s Library, check out this episode of Book Break where Emma talks to MCL Publisher Harriet about what makes a classic.